"My 18yr son is aggressive, hearing voices, and not sleeping." "Since the last two months he is not attending college. He talks to himself in his room and is not going out with his friends." "He feels he is being tracked through the TV and yesterday assaulted his mother when she put it on." "We tried taking him to our doctor but he refuses saying there is nothing wrong with him." This is a common introduction to the more severely ill teenagers presenting at Pathfinder Clinic. Schizophrenia is a brain disease. Your teenager has difficulties recognising his own symptoms. In schizophrenia there are changes in brain structure, chemistry and functioning. The individual is unable to recognise the problems in thinking, and perception. They hear voices threatening harm to themselves and their families. The same voices command them not to see the doctor. Reality is distorted and they are unable to correct it through feedback from others. Your teenager perceives this distorted internal image of the world as the real one. They attribute their problems to the external environment. Technically this is termed as a lack of insight. The disease process prevents them from seeing these distortions as an illness. Because of the illness they refuse to see the doctor or take medications. "You really need to get your act together"
"You better snap out of it or people will think you’re crazy." – "You won’t let me do what I want and now you are trying to label me as crazy, you need therapy, you go to the doctor." Taking medication is seen as an acknowledgement of their own failure. To the teenager denial of illness and rejection of medical care appears more acceptable. Parents of an adolescent with schizophrenia are working through their own public stigma. They may see schizophrenia as occurring due to faulty parenting and lack of control. They struggle against the stereotype of their son or daughter as incompetent and requiring supervision. They mistakenly fear they will need to protect the teenager from being labelled and shunned socially. In their mind going to the doctor will accelerate the stigmatising process. So the symptoms are ignored or controlled to the greatest extent possible. This may include keeping the teenager out of school or college for months until the exams are due. When the illness makes life unbearable at home they seek medical help. This is often in an atmosphere of shame and a sense of failure. Many families are unable to overcome these prejudices. They delay treatment for decades until they realise there may be no one to care for their son or daughter when they are gone. "Send him to us for a few weeks and he’ll be OK"
"Avoid ‘psychiatric’ medications because they are addictive"
"Medicines will cause permanent damage"
add further obstacles to the path to standard and adequate treatment. "What do you need the medicine for? I can see nothing wrong with you"
– "Chacha said there is nothing wrong with me, why are you trying to label me?" 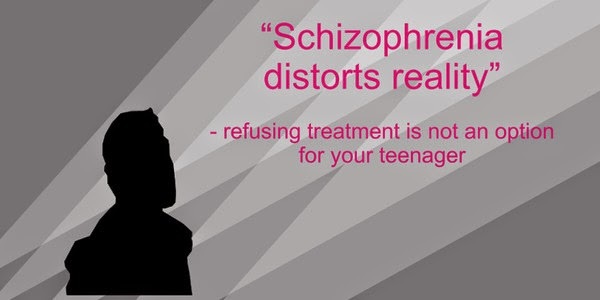 Refusing help for schizophrenia is not an option. We have already seen what can be done to get a reluctant patient to see the psychiatrist. However, for schizophrenia, more urgent measures may be required. Involuntary admission to a mental health facility for initiation of treatment may be needed. This is especially so when the adolescent is violent, suicidal, using addictive substances, or repeatedly missing from home. Involuntary admission helps in the same way that it helps get your adolescent admitted to hospital if they had dengue fever even if they did not want it. There are provisions in the Mental Health Act to ensure this is done in safety with respect for your adolescent’s rights. After they receive treatment and brain function returns to normal they will thank you. For they will be relieved from the terrors of reality distortions and desperation of suicide thoughts. Once treatment is initiated ensure they take medications every day as prescribed. Don’t take on any other responsibility regarding the medication. Leave that as a dialogue between your teenager and their psychiatrist. Just make sure it continues to happen. Schizophrenia is associated with death of brain cells and shrinking of brain volume. 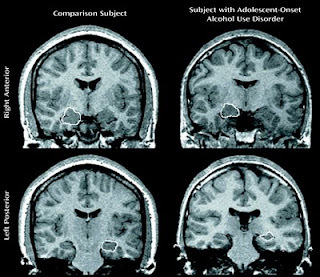 The longer the duration of untreated symptoms the greater the toxic “dose” of delusions and hallucinations delivered to the developing adolescent brain. Delusions and hallucinations are merely the tip of the iceberg – underlying brain changes have already set in. When treatments are delayed for more than a week the illness becomes even more severe and impairing. The person is less likely to recover, and is at greater risk for addiction to cannabis and other substances. These negative changes related to delay persist even after a year when treatment is finally started. Schizophrenia symptoms make it difficult for the teenager to attend school or college. There is difficulty focusing. 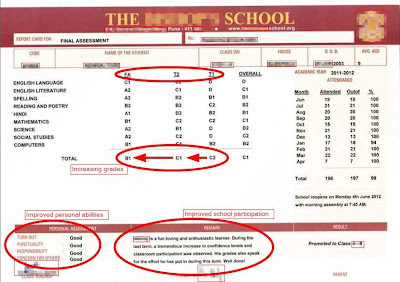 In the earliest stages there is an accelerated deterioration in academic performance. This usually takes place in late adolescence. Research suggests this may be a marker for schizophrenia onset. Deteriorating academic performance is seen even before social or other symptoms to appear. Unfortunately this is the very stage of life at which academic performance is critical and shapes career choices for adult employment. Many formerly brilliant students are anguished when they are suddenly struggling to even pass their exams. In fact studies have shown schizophrenia is more likely to affect those who excel at academics, making it all the more devastating. 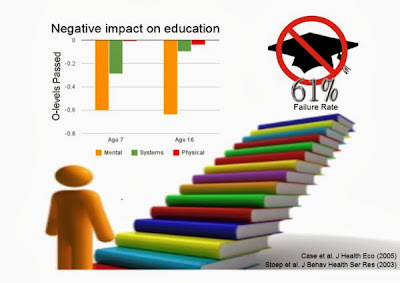 Missing or failing in board exams has an adverse impact that timely treatment can obviate. Compton MT, Gordon TL, Weiss PS, Walker EF. The "doses" of initial, untreated hallucinations and delusions: a proof-of-concept study of enhanced predictors of first-episode symptomatology and functioning relative to duration of untreated psychosis. J Clin Psychiatry. 2011 Nov;72(11):1487-93. doi: 10.4088/JCP.09m05841yel. Epub 2011 Jan 11. Fung KM, Tsang HW, Corrigan PW. Self-stigma of people with schizophrenia as predictor of their adherence to psychosocial treatment. Psychiatr Rehabil J. 2008 Fall;32(2):95-104. doi: 10.2975/32.2.2008.95.104. Guo X, Li J, Wei Q, Fan X, Kennedy DN, Shen Y, Chen H, Zhao J. Duration of untreated psychosis is associated with temporal and occipitotemporal gray matter volume decrease in treatment naïve schizophrenia. PLoS One. 2013 Dec 31;8(12):e83679. doi: 10.1371/journal.pone.0083679. eCollection 2013. Harrigan SM, McGorry PD, Krstev H. Does treatment delay in first-episode psychosis really matter? Psychol Med. 2003 Jan;33(1):97-110. Karlsson JL. 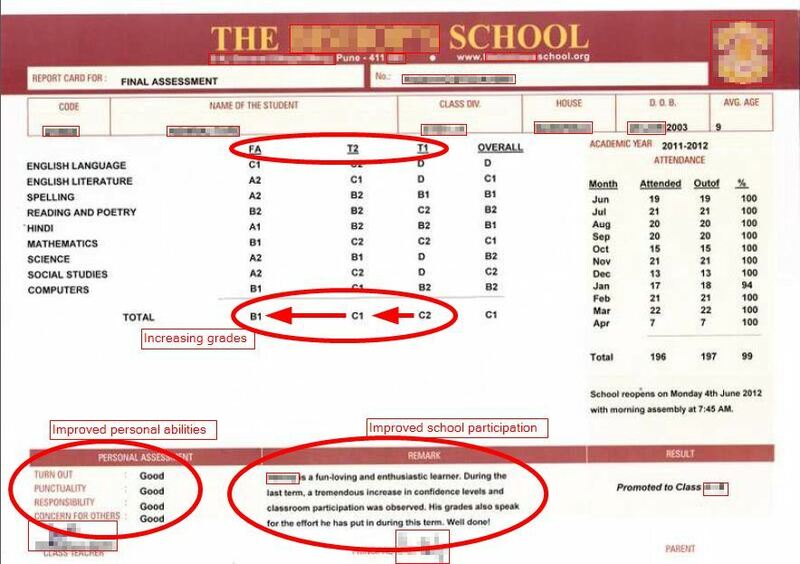 Psychosis and academic performance. Br J Psychiatry. 2004 Apr;184:327-9. Strauss GP1, Allen DN, Miski P, Buchanan RW, Kirkpatrick B, Carpenter WT Jr. Differential patterns of premorbid social and academic deterioration in deficit and nondeficit schizophrenia. Schizophr Res. 2012 Mar;135(1-3):134-8. doi: 10.1016/j.schres.2011.11.007. Epub 2011 Nov 29. Penttilä M, Jääskeläinen E, Haapea M, Tanskanen P, Veijola J, Ridler K, Murray GK, Barnes A, Jones PB, Isohanni M, Koponen H, Miettunen J. Association between duration of untreated psychosis and brain morphology in schizophrenia within the Northern Finland 1966 Birth Cohort.Schizophr Res. 2010 Nov;123(2-3):145-52. doi: 10.1016/j.schres.2010.08.016. Epub 2010 Sep 15.